Organic Sale industry in the U.S. sky rocketing. A report by the Organic Trade Organization, (OTA), revealed the exponential growth of the U.S. organic market. 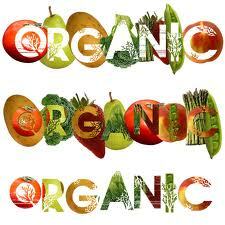 Sales of organic products exploded to $35.1 billion in 2013, an increase of 11.5% from the previous year. The OTA projects that the growth rate for organic produce will continue at the present rate. The organic industry survey was conducted by the Nutrition Business Journal with over 200 companies responding to the survey which was conducted in 2013. Companies provided information on revenues reported, sales growth, revenue by product and sales channel breakdown. Food sales accounted for 92% of total organic sales. A niche industry ten years ago, the product breakdown of the organic food sector reveals that the fruit and vegetable category continues to lead the sector with $11.6 billion in sales, an increase of 15%. With more than 10% of the fruits and vegetables sold in the United States now organic, the $1.5 billion in new sales of organic fruits and vegetable represented 46% of the organic sector’s $3.3 billion in new dollars. The relatively small organic condiments category posted the strongest growth, at 17%, to reach sales of $830 million. Also showing double-digit growth were the organic snack food sector, up 15% to $1.7 billion; organic bread and grain sales up 12% to $3.8 billion; organic meat, poultry and fish sales up 11% to $675 billion, and the rapidly expanding organic packaged and prepared food sector up 10% to $4.8 billion. “The U.S. organic market is experiencing strong expansion, with organic food and farming continuing to gain in popularity. Consumers are making the correlation between what we eat and our health, and that knowledge is spurring heightened consumer interest in organic products,” said Laura Batcha, executive director and CEO of OTA.